‘C’ Is for Canada Red Chokecherry & Chris from Cutterz! Home / ‘C’ Is for Canada Red Chokecherry & Chris from Cutterz! Week 3 of the 1 year Blog Challenge – the letter C – Clearly Canadian, eh? Ending a sentence in ‘eh?’ is more endearing & slightly more mysterious sounding than ending a statement with ‘huh?’ (IMHO). 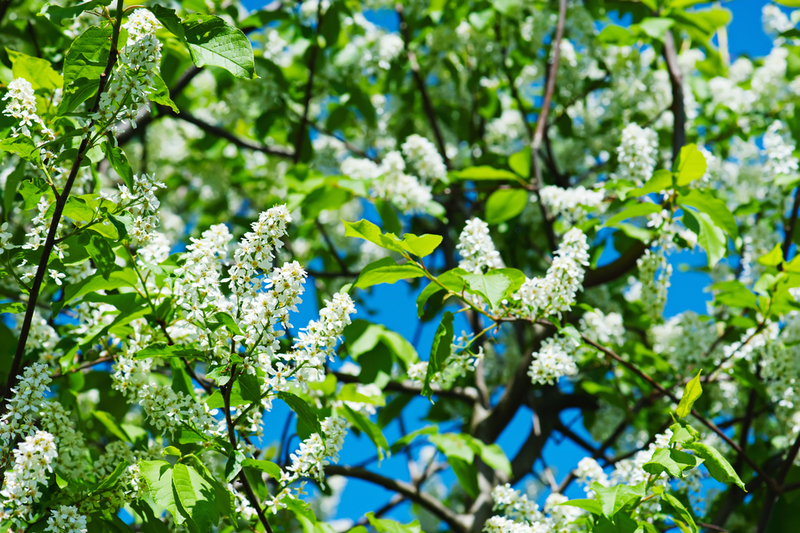 This is a shout out to Canada, the beautiful spacious country to which I’m grateful for my ridiculously outrageous accent, & the awesome… Canada Red Chokecherry. This has been one of my favorite ‘shade/ornamental tree’ hybrids for many years. It’s tough, beautiful, interesting, & not too big/not too small. You see them a lot in Canada, Alaska, Colorado, the Pacific Northwest, & they’re really gaining in popularity throughout the Midwest. Indianapolis’s own Keep Indianapolis Beautiful plants a lot of them, & we recommend them whenever appropriate in our work at TNL. The variety ‘Canada Red’ has a fast growth rate, straight trunk, nicely distributed branches, & a full/round ‘head’ or crown. Let us know if you’d like one, we usually carry several at our True North Garden Center every spring. Charlotte Creek Growers out of Greenfield, IN grows really nice Canada Red Chokecherry’s, & we like to carry & use their locally grown product whenever possible. C – Is for Chris, owner of Cutterz Lawn & Landscape. This is a ‘shout out’ to a fine friend & fellow Contractor. When TNL was a smaller company & over the years, Cutterz has helped us to grow True North. It makes life that much better when you get to work with good companies & good people. If you need a quality turf care company on the West side, especially in the Plainfield, Avon, & Brownsburg areas, check out www.cutterzlawnandlandscape.com.